QuoteWe have failing health care... you have better health care than we do. 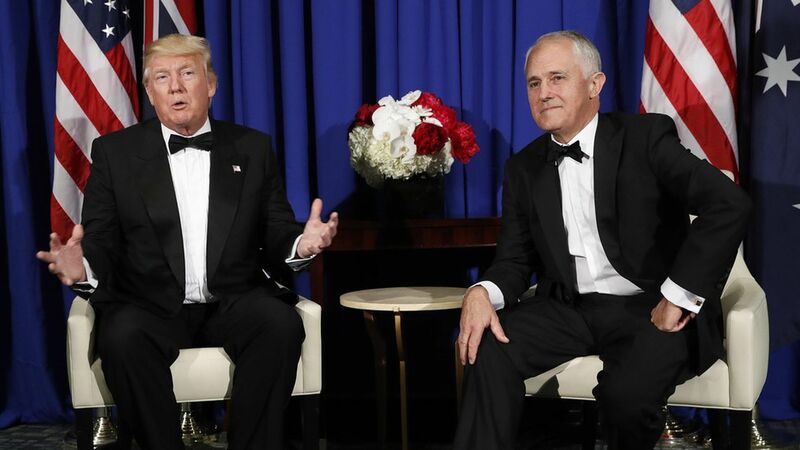 Trump also said that reports of a "rough" phone call with Turnbull in January were overblown, though he admitted the call "got a little bit testy." In his speech, Trump praised the military alliance between the U.S. and Australia and joked that the countries were "born as the rebellious children of the same parent."